Prior to last year, I'd never been to INBOUND before. I’d never been to a marketing conference before. Hell, I’d never been to any conference ever. My inexperience didn't mean I wasn't going to crush it, but it also didn't mean I didn't prepare my face off to make sure I did. When I went, I knew what I’m going to get out of INBOUND, what I was going to bring back, and what was the most fun. 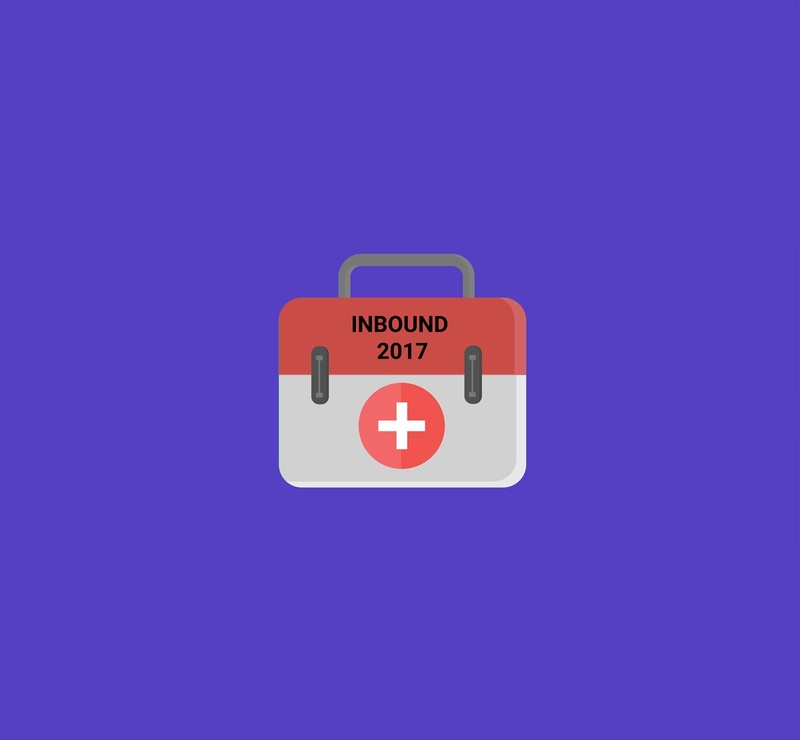 Here's what I learned to help guide first-time attendees of INBOUND 2017. INBOUND is the biggest marketing conference of the year and it’s an opportunity like no other in so many ways. This is especially true for businesses in industries that haven’t embraced inbound marketing. This is where they can discover the bleeding edge of marketing, learn about the tools to make it happen, and gauge the lay of the land. Last year, INBOUND had about 19,000 attendees. The year before that, about 14,000 and before that, around 10,000. That’s some serious growth. I know Boston. I’ve been there, and I’m looking forward to going back. If you’ve got the time, check out the sights, but honestly, you probably won’t have the time. (There are a lot of Pokéstops there too). 1. Register for sessions as early as possible. INBOUND is packed - you want to get to sessions early, and have a set agenda for what your days will look like. Not all conferences may allow this, but thankfully, INBOUND lets you pre-register for sessions (learn more here). Pre-registration mostly depends on when you’ve registered for the conference itself, so a good tip is to plan your trip early. Which ones should I go to? What am I expecting to get from each session, that will justify my time spent in each one? What value can I bring back for my agency and my clients? 2. Understand the greater purpose behind the conference. 3. Find a conference that’s a makes sense for your community or industry. INBOUND 2017 is a huge deal for sales and marketing, inbound marketers, inbound sales, content marketers, business owners, and obviously everyone inside HubSpot. If a big chunk of your industry is going, it probably means you should be too. 4. Collect business cards from great people. Practice your elevator pitch. Make sure you can explain your business in under a minute, then make sure you can explain it about 15 seconds. You probably can, but you just haven’t had the need. At a large conference like INBOUND 2017, you’ll need to. 5. Find the right level of session for you. For me, it was advanced sessions. I wanted to learn how to convince sales to write for marketing, how we could break into video and use it to boost leads and credibility, and how content was changing and where it would be in three years. If you’re new to inbound marketing, there are some sessions you should absolutely go to, but I’m expecting to see and hear new things that I can use to create great strategies that get results for my clients. 6. Check out the sponsors. Club INBOUND is like the Big E or Iowa State Fair - the best of the best are going to be there, and the best of the best are going to stand out in an incredible way. That’s why IMPACT is going to make a splash at INBOUND 2017 with free, in-person Website Throwdowns, our super popular live website critiques! When you register, you'll also score a FREE "I Survived Website Throwdown" t-shirt, an IMPACT drawstring bag, a shot glass, and you'll be automatically entered to win a $500 Amazon gift card or a free website Redesign. We hope we’ll see you there. While INBOUND officially starts on Tuesday, the festivities kick off on Monday with Community Day. 8. Be on the lookout for networking and growth opportunities. I’ve been at IMPACT for almost two and a half years. In that time, I’ve been lucky enough to meet some of the biggest names in inbound marketing, but I still have to so much to learn. At INBOUND, clients were there for after-session schmoozing, other agencies to complain about clients with, and I got to see cool new vendors with cool new products. My advice to you -- go with a goal - who do you want to meet and how are you going to meet them? How many business cards do you want to get? Some of my clients will be there. Some providers I use will be there. Some competitors will be there. You can learn from of all of them. 9. Study the agenda and recommended sessions online. Last year, I didn’t want to show up and hate everything, get confused and overwhelmed, or discover the cool sessions already happened and I was late to the party. So, I planned ahead and you should too. What am I going to bring back to train my peers on? Is it AdWords? The latest in Google’s search engine algorithm updates? What do I need to bring back in order for this to be considered a successful conference? For INBOUND, I’d also bring a few extra clothes - they have some crazy parties after the sessions. 12. Have your gadgets ready to go. Bring your laptop, your phone, and a portable charger if you have one, but make sure to scout out the venue for power outlets. If it’s a large enough conference, there’ll be a place where charging is central - in this case it’s Club INBOUND. 13. Maintain a fun-business balance. Just like with work/life balance, you need business/party balance. Enjoy happy hour or any other after-hours networking events, but don’t go too crazy. Early to bed and early to rise makes a man (or woman) healthy, wealthy, and wise. You want it, we all do -- but don’t be distracted by it. 15. Don’t neglect basic human needs. It’s easy to lose track of meals or sleep when you’re running around at a conference. There are food trucks for lunch at INBOUND, but also scout out locations for water and snacks, and bring my own as well. Scout out the bathrooms too - the last thing you want is to be stuck waiting in line before a keynote. 16. Make time for the booths. There’s someone that will be at INBOUND (or any conference), that will help take your business to the next level. You may not know who that company is, what they do, or anything else, but they’ll be there, and you must find them. And if your company’s got a website, we hope IMPACT’s booth will that game-changer for you. Learn more and reserve your Inbound Throwdown here. Take a deep breath. Plan what you need to plan, and don’t forget that the most important thing is to have a good time! 7 INBOUND 2017 Sessions You Need to Register for Right Now!